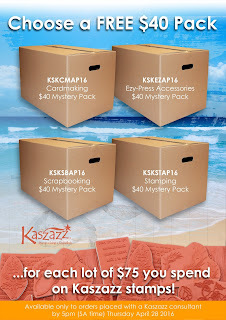 ...for each lot of $75 you spend on Kaszazz stamps! So, if you spend $150 on stamps you can choose 2 FREE $40 Packs, and so on! Don't delay! 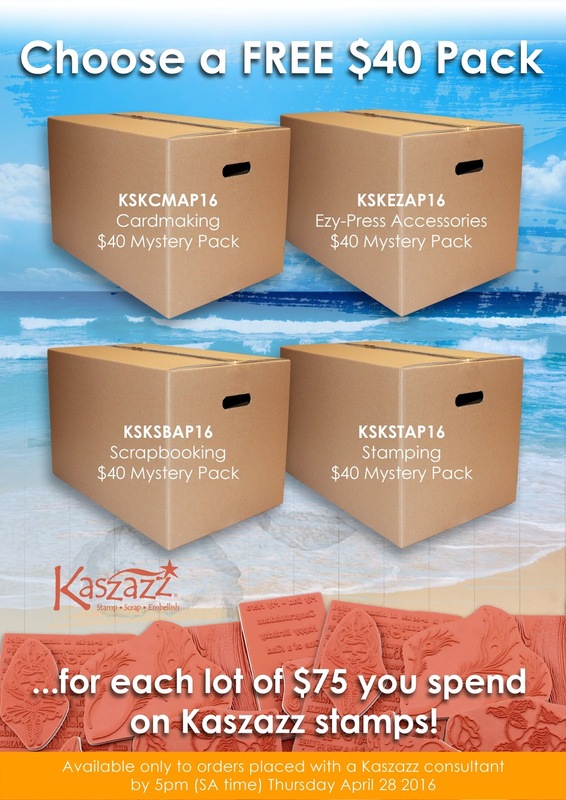 You must submit your order to your Kaszazz consultant by 5pm (SA time) Thursday April 28 2016 - please note orders placed using the customer direct online ordering system do not qualify! "Spend $50 Choose $50 free Voucher!